Businesses interested in leveraging the many benefits of content marketing seem to have an ever-growing list of solutions and content strategies to choose from. They can hire freelancers, outsource their content to an agency; or they can even onboard and train their own in-house teams. With so many options, it can be hard to decide which is best for you. Understanding how each of these solutions can best align with your overarching business goals, budgeting restrictions and the needs of your customers is a necessary step before you promote your brand with a content driven strategy—especially when on a tight budget. While many of these strategies can prove successful for a variety of business models, not every tactic is going to be effective for your specific company needs. Learn how to identify the content needs of your business and about the pros, cons, and costs associated with multiple content marketing solutions to better inform your budgeting decisions. According to the Content Marketing Institute, only 21% of marketers say that they can successfully track their ROI from content marketing. The key to a successful content marketing effort is the ability to measure and track your return on investment, so don’t be one of the 80% of marketers that can’t tell whether or not they’re succeeding. To combat this lack of understanding and to have a stronger understanding of which content marketing solution will be most effective for your business, you should always inform your content decisions based on the the needs of your target audience—your customers. Start by researching your audience’s interests as they relate to your brand. 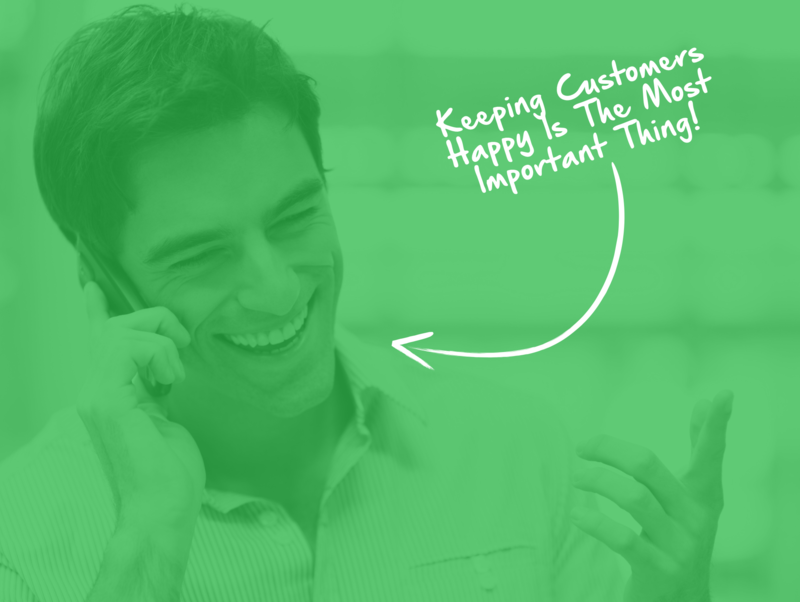 For example, you can ask your sales team about customer interactions. What are their pain points? Why are they interested in your products or service offerings? What are common questions that they ask of your sales team? Additionally, research your product reviews, ask for customer feedback directly, survey your clients, perform keyword research within your market, and analyze your customers through social listening to have a stronger grasp of their typical personas. Informing your content strategy with data provided by your customers can ensure that you’re appropriately focusing your content budget to serve the needs of your customers and not frivolously spending on tactics that don’t align with your goals. 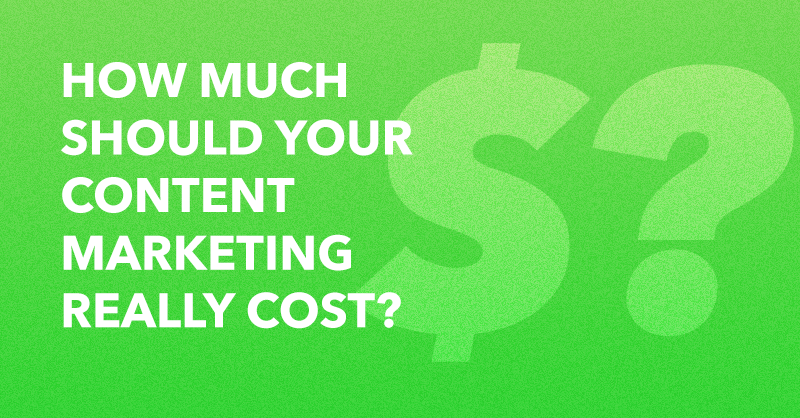 Once you’ve established the needs of your business, you can begin budgeting for your content marketing strategy. There are a wide range of prices that you can expect to encounter when performing your search; however, as a general rule of thumb, you can expect to get what you pay for, as proven professionals and agencies understand what successful content campaigns are worth. Hiring a content manager or team of professionals to work full time, is often a more expensive initial route to take, especially when you take into account training time, but if you have the resources, this could be the most cost-effective investment for your long-term content marketing goals. The costs associated with internal hires is primarily dependent on their years of expertise, track record of success, and your geographic location. 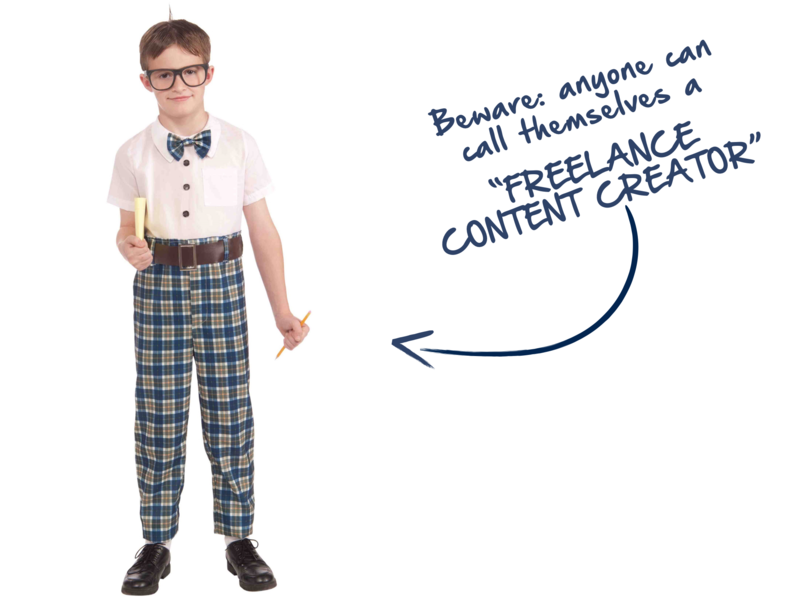 If you’re a tech firm in San Francisco hiring a content strategist onsite, you can expect to pay a professional with 5-10 years of experience right around six figures each year whereas hiring a less experienced content marketer in a smaller market could come in around the lower end of these ranges. To have a stronger idea of how much you should plan on investing, check what other companies are spending for similar talent with career sites such as Glassdoor, Indeed, and PayScale. Additionally, the content marketers worth hiring ideally have a long list of skills that can be applied to a few different marketing functions, impacting how high their salary should be. Some of the skillsets you should look for are: content marketing strategy, copywriting, digital marketing, search engine optimization, graphic design, video production, in-depth social media know-how, paid advertising campaign experience, HTML/other coding languages, lead generation, email marketing, inbound marketing and other more niche skills that align with your business needs. A content marketer doesn’t need to have all of these to succeed in-house, but should have overlapping expertise in a few of these areas. A strong content marketing strategy often includes a healthy mix of content types, some of which can be accomplished in the short-term with your day-to-day team, but other in-depth content types, such as case studies, ebooks, white papers, and video can take much longer to develop—and heavily tax your on staff resources. Not to mention, your team might not have the expertise to come up with a content marketing strategy in-house in the first place to understand what content types to invest in and why. 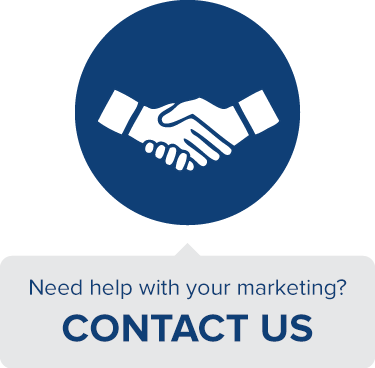 For more in-depth specialty projects where your company lacks the time or resources to complete efficiently or for managing your day-to-day content marketing needs, outsourcing to an agency or consultancy can be an excellent solution. Content marketing agencies often boast a breadth of service offerings ranging from graphic design to SEO and can offer packages that encompass many of your needs. Additionally, the best agencies employ a staff of professionals with mixed backgrounds and expertise which can better ensure that your projects are covered from all angles. A content marketing consultancy, much like Honigman Media (shameless plug), focuses solely on content marketing and another area or two, offering specific expertise to apply to your company’s workflow, as opposed to the agency model that often provides services in many different areas to be your one-stop shop for marketing. The goal of a consultancy is to partner with clients in one key area with a specialized expertise, which in this case would be content marketing. While this knowledge is generally a benefit for most businesses, before hiring any content agency or consultancy, be sure that their packages and service offerings align well with your overarching business goals, as you shouldn’t be paying for additional services that you don’t need. For short term projects or individual content needs such as a single white paper, you can expect to pay towards the lower/middle end of this range. For complex strategies or national content campaigns, you’ll likely be at the higher end of the range. This is where pricing can get a bit more complicated as experience level, quality of work performance, and timely service can greatly affect the cost. Fortunately, there are a few tips and areas you can search to better identify exactly what you should be paying for your content needs. If you have a tight budget or want to explore more inexpensive options, you can start by searching websites such as Upwork, Elance, and sometimes find local talent through Craigslist . These sites have job posting boards that host a large selection of professionals located throughout the world. On Upwork and Elance, you can publish your content needs with a proposed budget and wait for freelancers to apply, or seek out talent that specifically aligns with your project and budget requirements. If you have specific content needs that require precise attention to detail, a quick project turnaround, or specific industry knowledge, to receive optimal results, you should start looking towards professional content marketers that specialize in your needs—copywriters, web coders, graphic artists, etc. While higher end freelancers may cost more than those on an Elance or Upwork, they tend to have more experience, can deliver services across a few different specialities and are more likely to form ongoing relationships with your organization for a long-term partnership. For some freelance needs, such as content writing or social media management, professionals will charge monthly retainers or have packages that guarantee a set amount of work. This is often so they can take the time to understand your business objectives and audience needs to create a stronger course of action for their work and better their chances of succeeding with your project together. Monthly retainers typically cost between $2500 and $5000 and include four to ten pieces of long-form content, daily content distribution in the case of social media management or ongoing content strategy. Before hiring any freelancer, you should ensure that they have the appropriate skillset to perform your needs. Research their past work history, ask them about similar projects that they’ve completed, and ask them to justify their costs. You may find a great deal with competent but budget-friendly professionals that only have lower prices in hopes of building a stronger portfolio, but adversely, you may find that low-cost options are a nightmare to work with—sometimes correcting their work takes more time than doing it yourself. By asking a series of qualifying questions, you can better identify which freelance services will work best for your business. To be honest, this field is the wild west. There are a plethora of tools that your business can use to improve your content marketing in addition to working with talented content marketers externally or internally. For the sake of this article, selections are limited to a few of the more popular options with monthly costs associated. Keep in mind that many of these tools have overlapping features. To find the best options for your business, first create a list of your needs and weigh the pros, cons, and cost of each platform prior to making a decision. Additionally, many of these tools offer trial runs for free or minimal investment. Take advantage of these offers to learn what features you really need and which are just nice-to-haves. Buffer: Can make scheduling even the busiest content calendars much easier to maintain and offers plug-ins to curate content from anywhere on the web. Buffer’s pricing is completely transparent, with no hidden add-ons. Pricing: Free with limited features; $10/mo for one user; $50-$250/mo for larger businesses. Hootsuite: Offers similar features to Buffer but integrates with a few other social channels and also offers basic social listening features. Pricing: Free with limited features; $10/mo for 1-9 users; individual features such as analytics are available at an extra cost; demo needed to negotiate an enterprise solution. SproutSocial: A comprehensive social media management platform that also focuses on CRM, social monitoring, content publishing and team collaboration. Pricing: Free 30 day trial; $59/mo for 10 profiles; $99/mo for advanced features and 20 profiles; $500/mo for advanced and enterprise solutions. Trello: To do lists, project overviews, and team cooperation are all included in this software. Pricing: Free with limited features; $5/mo for individual use; $3.75/mo per user for business accounts; demo required for specific enterprise solutions. Asana: Color coordination, team integration, and eliminating the need for email are some of the features that have made Asana a top solution for project management needs. Pricing: Free with limited features; cost varied on team size, $21/mo for 5 members; $750/mo for 100 members; consultation required for teams of 100 plus. Basecamp: Helps your team get more organized, a must-do for complicated content marketing campaigns. Similar features to Asana and Trello; try testing them all to find a user-experience with features that your team prefers. Pricing: Free two month trial; project based pricing; $20/mo for 10 projects; $150/mo for unlimited projects; $3000/yr for the comprehensive package. Google Analytics: One of the most comprehensive web analytics softwares available for free, but can be difficult to integrate with some social media content campaigns—can have a strong learning curve for more complex analysis. Pricing: Free with limited features; $150,000/yr for large enterprises that need an in-depth analytics solutions. Sumall: Cross platform marketing analytics platform that can combine social media, web traffic, and sales metrics into one convenient dashboard. Pricing: Free with limited features; $59/mo for personal or small agency use; $99/mo for full access to features and weekly analysis. BuzzSumo: Helps you find not only your best performing content, but also let’s you keep tabs on what your competitors are up to on social media. Pricing: Free 14 day trial; $79/mo for small teams; $139/mo for advanced features; $239/mo for larger teams with advanced features; Enterprise solutions require consultation demo and feature flexible billing. Prices billed annually. Mention: Monitor real time social feeds and react to customer feedback in seconds rather than days. Pricing: Free 14 day trial; $29/mo for personal use; $99/mo for small teams; $299/mo for larger corporations; $799/mo for enterprise solutions. SimplyMeasured: Analytics and social conversation management integrated into one very comprehensive solution. Pricing: Request for free trial; $500/mo for limited needs; $800/mo for mid sized teams; $2000/mo+ for enterprise solutions. Adobe Creative Suite: Industry standard for creative and design professionals for over 20 years. Pricing model has recently changed to a subscription model and downloaded through the Adobe Cloud. Pricing: Free 30 day trial; $49/mo per user; $79.98/mo per user with included Adobe Stock images; large enterprise solutions require consultation. Canva: Online design solution with intuitive interface for users who aren’t necessarily design professionals. Pricing: Free; paid features are per project such as $1 per stock image used. Piktochart: Easy to use infographic solution with thousands of free templates and icons to choose from. Pricing: Free with limited features; $29/mo for advanced features. Percolate: Connects marketing teams, tasks, creative, data and software tools to accelerate productivity, reduce operating costs, and help businesses of all sizes grow their revenue. Pricing: Percolate doesn’t publically share it’s pricing information since their software is fully customized to meet it’s client’s content marketing needs, but you can expect pricing to be competitive with HubSpot; request a demo for more information. HubSpot: Coined the term inbound marketing, responsible for much what content marketing has become today. Their all in one solution is one of the industry standards. Pricing: Varies based on number of contacts; $200/mo for 100 contacts; $800/mo for up to 1000 contacts; $2400/mo for up to 10k contacts; $10/mo per 1k extra contacts. Marketo: This all-in-one marketing solution helps with lead generation, grow customer relationships, and increase marketing ROI. Pricing: Varies based on number of contact records; $1395/mo for up to 10k records with standard plan; $2995/mo for up to 10k with advanced plan; consultation required for larger enterprise solutions. Before you sign on the dotted line for any content marketing solution or partner, you should carefully consider exactly what you are interested in accomplishing with content and what areas your company needs the most help with. Focus on creating realistic goals and how much those goals are worth to your business. Set clear expectations in the beginning and be wary of any solution that appears too good to be true, or are drastically discounted for the results that they promise. This can be an indication of future trouble and extra work that takes away from your other business objectives. If your goal is to succeed with content marketing, then it’s essential that your company makes the right investments in both resources and talent in order to execute your efforts effectively. Jacob Warwick is a contributing author and content manager for Honigman Media based out of Los Angeles. In his free time, Jacob is passionate about photography, health, and fitness. Follow him on Twitter @JacobWarwick.